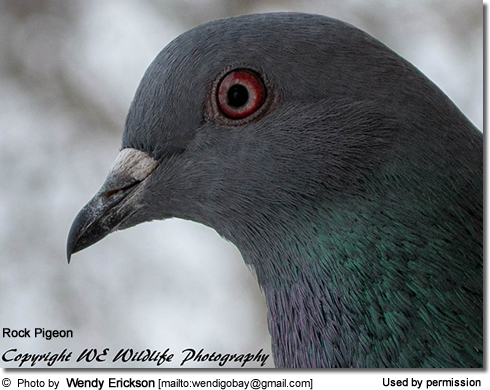 Help Stop the "Sport" of Pigeon Shoots! 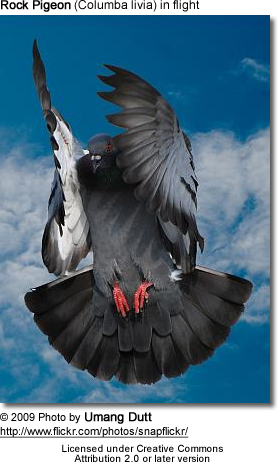 The pigeon can recognize all 26 letters of the English language. They can be taught relatively complex actions and response sequences, and can learn to make responses in different sequences. In scientific tests, these birds have been found to be able to differentiate between photographs and even between two different human beings in a photograph. A study conducted at Keio University in Japan demonstrated that these smart birds could learn to distinguish between a Van Gogh and a Chagall paintings, based on multiple feature cues, such as color and pattern. Pigeons can remember large numbers of individual images for a long time, for example hundreds of images for periods of several years. The pigeon have far better eyesight than humans and even though they can see color in the same way that humans do, pigeons can also see ultra-violet - a part of the spectrum that humans cannot see. They can also learn relatively complex actions and response sequences and can be taught to make responses in different sequences. These sets of skills were utilized to save thousands of people lost at sea and during numerous rescue missions during times of war (World Wars I and II). Please refer to Rescue Pigeons and also War Pigeons. Their most unique ability it to learn routes back to their home from long distances. This homing behavior differs from that of birds that migrate - which usually occurs over a fixed route at fixed times of the year. Homing, however, is more flexible, although similar mechanisms may be involved. Their homing ability has been used by humans for myriad purposes. Please click on the link below for information.